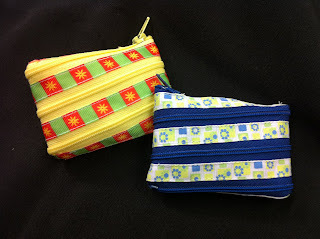 Once you have the basic steps down, these instructions will work with any size of zipper and ribbon. 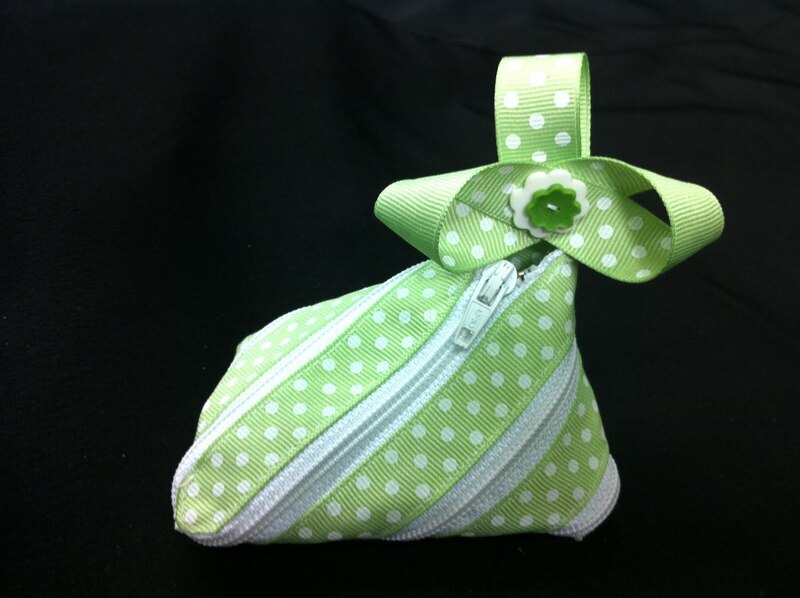 You might want to test it out before sewing by just pinning the zipper to the ribbon first. 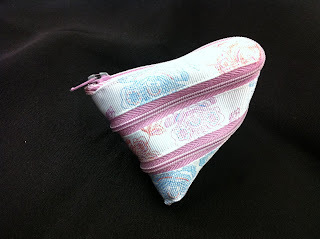 Lay your zipper out in front of you...zipper should be closed, zipper stop to your left and zipper pull to the right. Begin by rounding the corners of your ribbon with scissors and then to prevent the edge from fraying melt the edge slightly with a lighter or match. 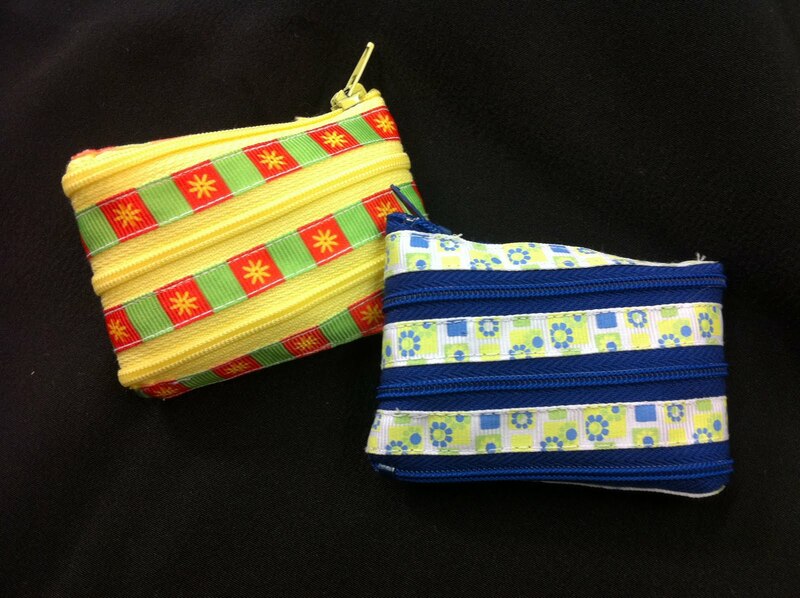 Begin sewing small stitches to secure your ribbon to the zipper edge. Remember not to sew too close to the zipper or you will have a struggle opening and closing the zipper. 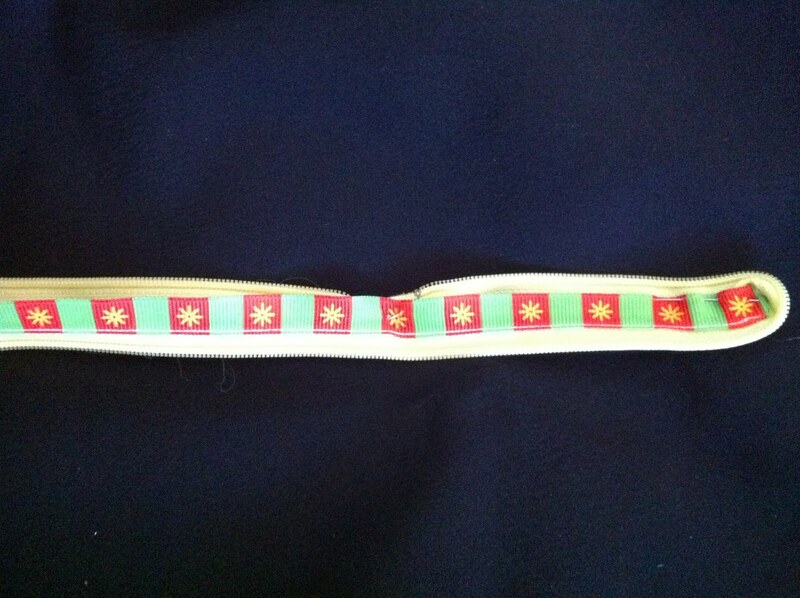 You can use a sewing machine to sew the ribbon to the zipper, but you will need to stop and hand sew each time you come to a turn/corner. 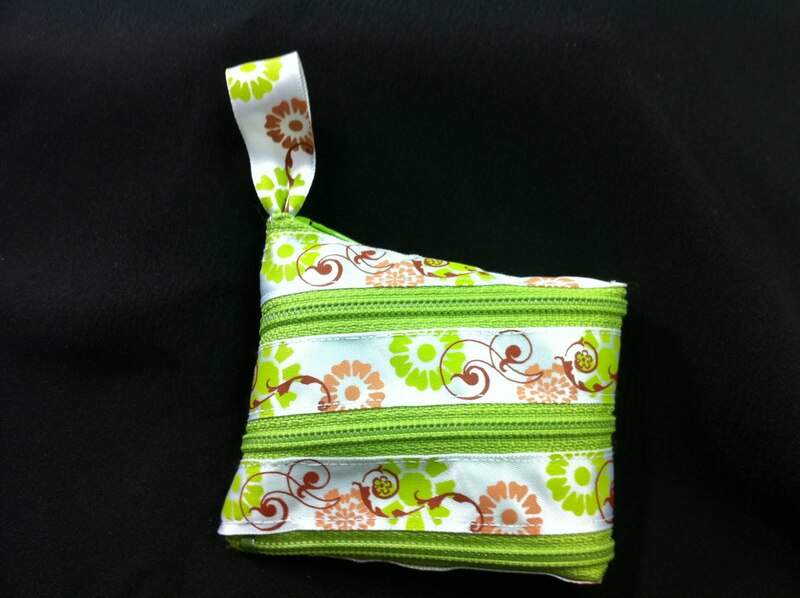 Once you have sewn around the zipper stop, continue all the way up (photo B) towards the zipper pull, leaving a 4" space before you reach the zipper pull (photo B). 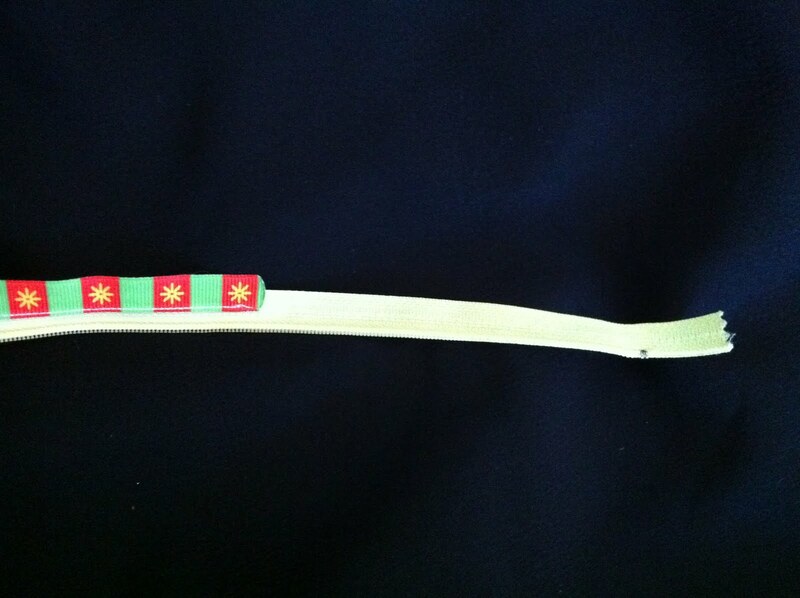 Cut off your ribbon, round the edge and fray prevent as before. 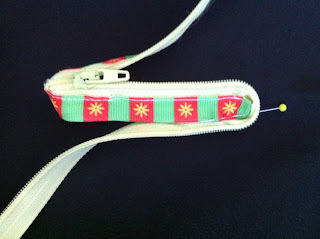 Now go back to the very beginning and wrap the zipper around the ribbon end that you started with. You will need to do this by hand, pinning it in place helps. Now take the other end of the zipper and wrap it around the other end of the ribbon as you did before. 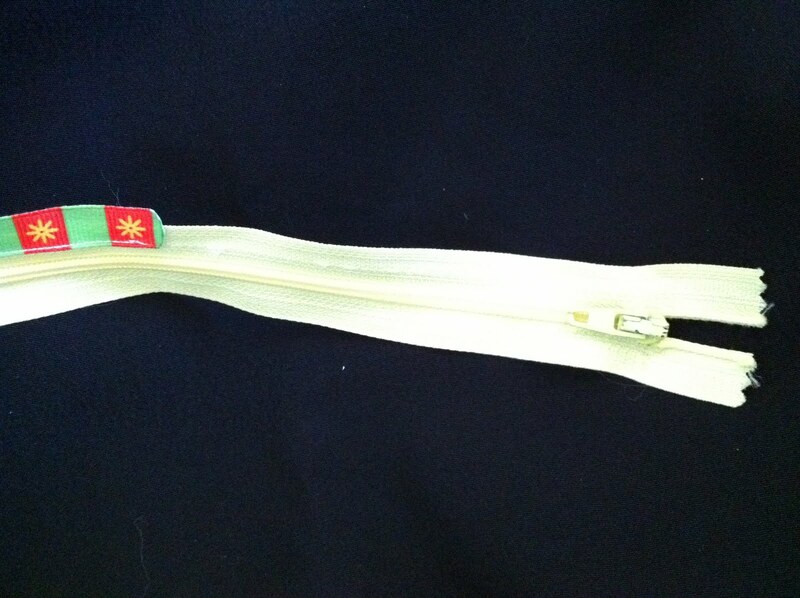 You will end next to the other zipper stop. 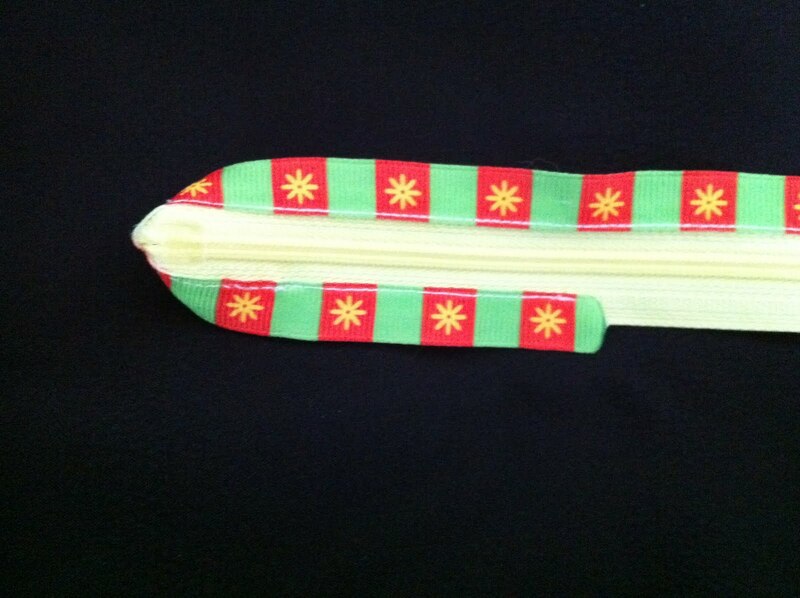 Fold the edges of each zipper end in slightly, and secure in place. Clip off any loose threads and zip up your project...you are finished! 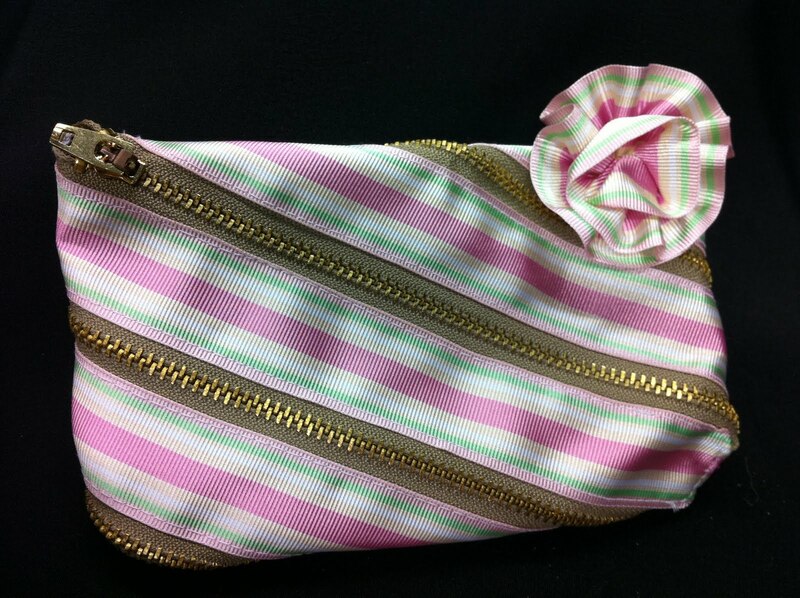 This zipper clutch was created using a 36" zipper and 1" ribbon. 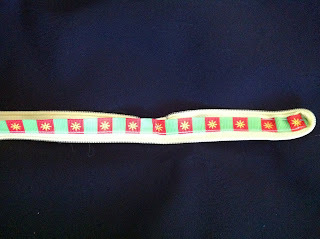 Create a ribbon rosette by gathering the bottom edge of 12" of ribbon. Roll the ribbon and stitch the gathered edge together. Sew to the corner. 22" zipper and 1/2" ribbon. 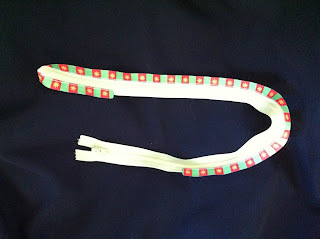 Also added a loop of ribbon for a handle. you end up with a "sour cream" pouch look. 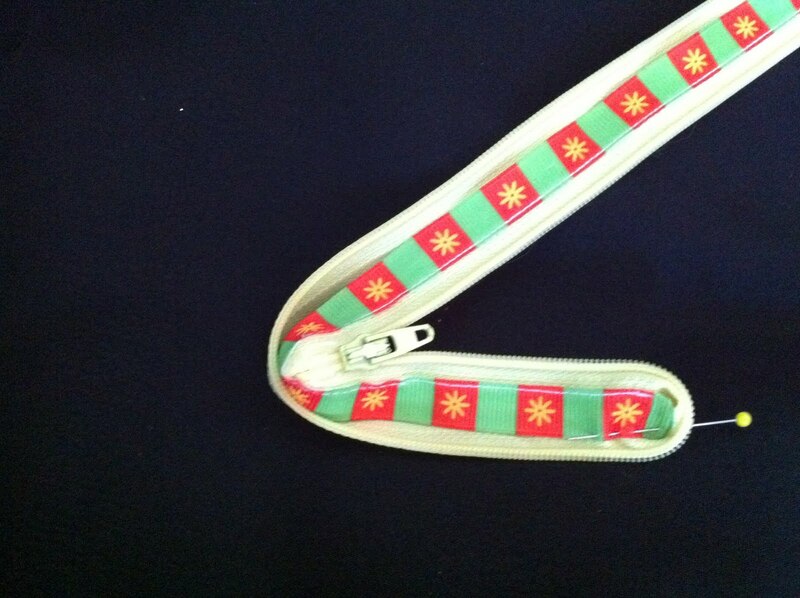 20" zipper and 1/2" ribbon. Again, the "sour cream" pouch look. 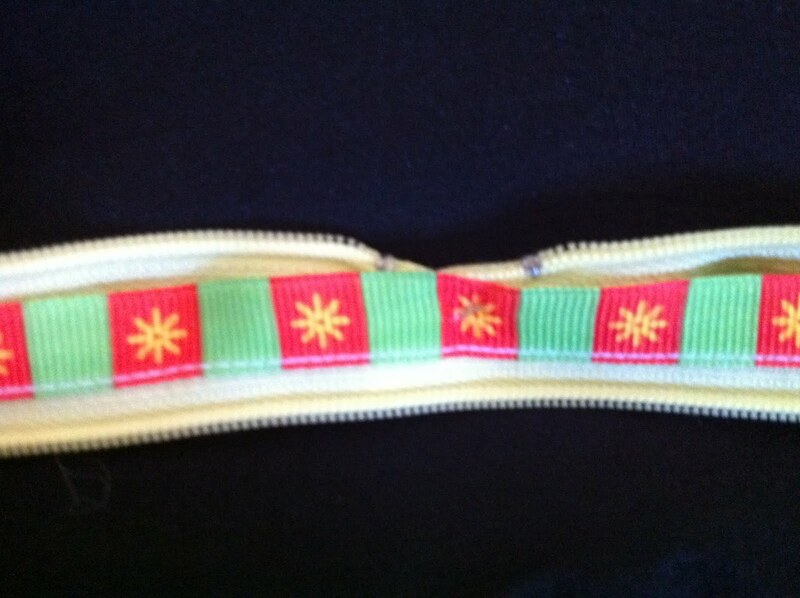 additional ribbon and buttons for accent as I did above. Have fun with this! 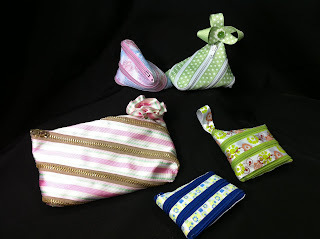 These are perfect for coin purses, lunch money pouches attached to backpacks, unique gift wrapping for jewelry, make up, cell phones, etc. Midway down, in the middle, click on "Craft Projects"
Thanks for this tutorial! 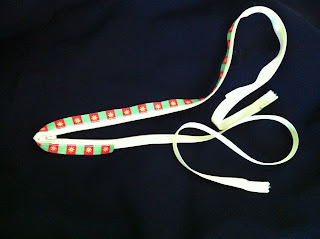 I've bought the materials for one of these, I've just been dragging my feet in the figure-out-how-it's-done stage!